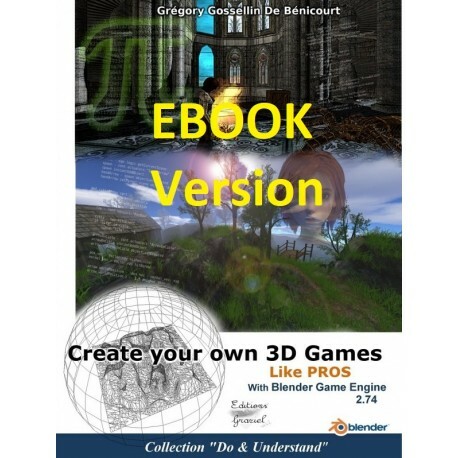 With Blender 2.74 (free and Open Source), you can model, animate, create a 3D rendering and have a game engine. 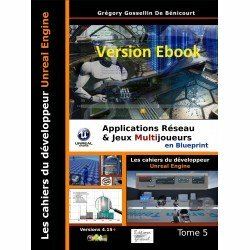 With this book, we invite you to try to create directly several game projects. With these projects, about a hundred recipes will help you to create any type of game. 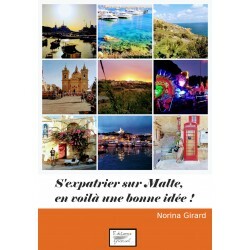 The french version is on Google BOOKS. 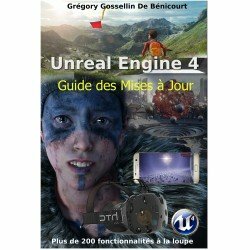 Reserved, for a long time, to a small circle of enthusiast developers, 3D is not yet commonly used by independent video games development studios (the Indies). It's for a good reason: the entrance ticket is relatively high. 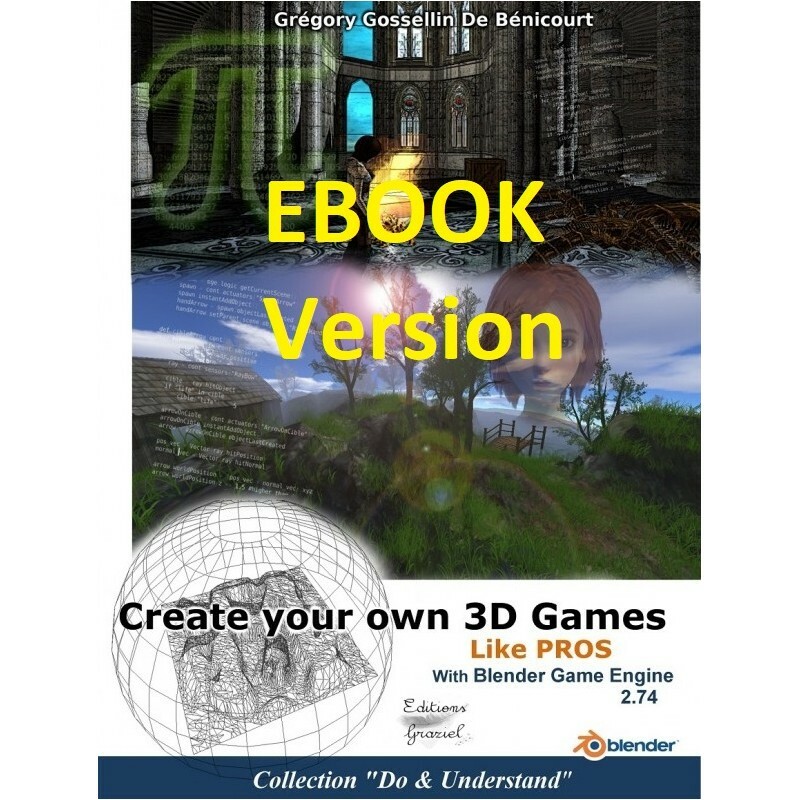 With Blender 2.74 (free and Open Source), you can model, animate, create a 3D rendering and have a game engine. 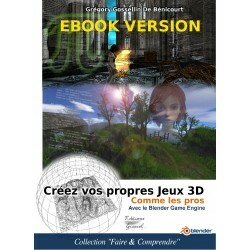 It is a perfect tool for the beginer and for the one who want to create a commercial game. Blender is too a complement to tools like Unity, CryEngine, Unreal Engine and other commercial engines. 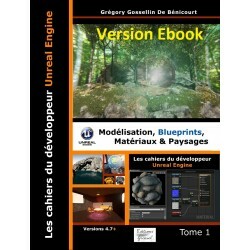 Thanks to the resources freely at everybody's disposal on the Internet, you do not have to be graphic designer or programmer to create a game. 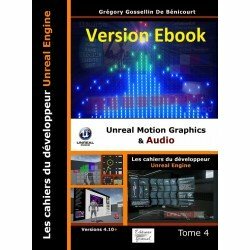 You do not want to read 400 pages of theory about moddeling, animation and programming in python ? This book was written for you. 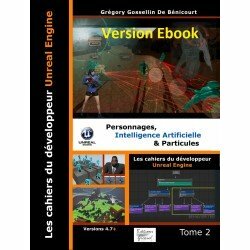 You are invited to create directly several game projects : a platform game (like Super mario), a First-person Shooter (like Doom, Far Cry or Half-Life), a Third-person RPG (like Tomb Raider, GTA or Watch Dogs), a voxel sandbox game (like Minecraft), a car race and a flight simulator. 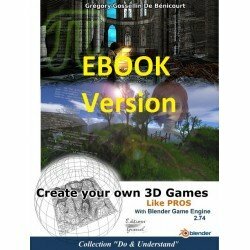 With these projects, about a hundred recipes will help you to create any type of game. High technology, games and 3D geek, the author wants to honor these games that have revolutionized this domain. «Make profesionnal's techniques accessible to anyone». 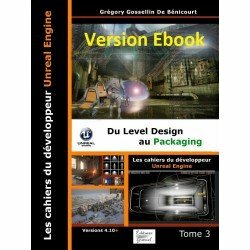 Books of this collection are organized in this way: projects, recipes on which the projects are based, and sheets for beginers and those who want to increase their knowledge. «A lot of technical books are not read beyond the first pages because time to acquire knowledge is too important». By trying directly to create a game, we want to make the techniques learning easier. Parents who want to help their children to transform their videogame passion into a creative recreation.